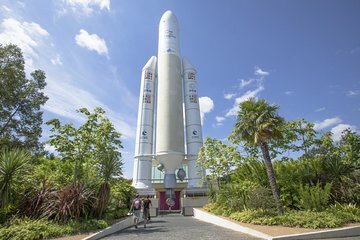 Explore Cité de l'Espace, an interactive space exploration museum with 2,300 square meters of exhibitions including ‘ASTRONAUTS,’ which looks at the extraordinary lives of astronauts on board ISS (the International Space Station). Try a space flight simulator, see real space ships and watch a new IMAX film about French astronaut Thomas Pesquet’s latest mission. This tour is ideal for visitors in or near Toulouse looking for a fascinating way to spend a day. Open from 10am. Closes between 5pm and 11pm depending on the period.